Port of EMame to the SonyEricsson P800/P900 (Symbian OS version 7). Latest version of EMame for the P800/P900 is 1.2. This version supports over a thousand games - here's the gamelist and the romlist. 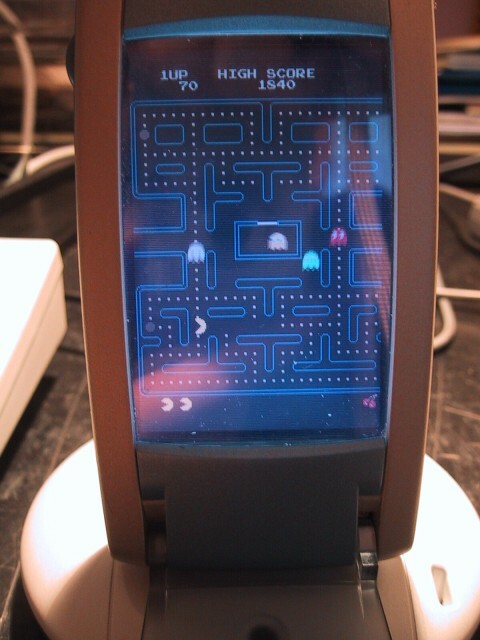 Rebuilt EMame with version 1.2 of ECompXL. Install ECompXL (this is mandatory, EMame for the P800/P900 cannot be built without it). Download X-mame version 37b7.1 and unzip it in your development environment. 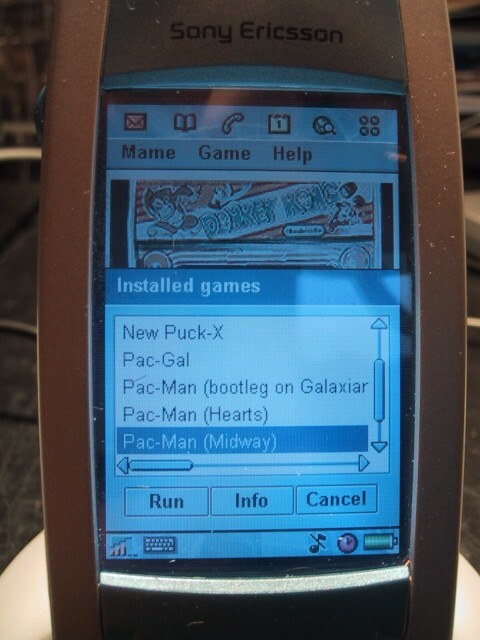 Afterwards, rename the xmame-0.37b7.1 topdirectory to mame. Unzip the EMame source code. Note that this will overwrite (or better said patch) a handfull of xmame source files in mame\src. Change directory to mame\src\epoc\group\scripts and issue the command armiurel for a target build. Store the zip files (still compressed) on the P800/P900 in the folder called ROMS under Document; you may store them either on the internal phone memory or on the memory stick. I've tried to take some pictures with my digital camera, but as you can see I have more knowledge of programming than photography. Anyway, here's what the play list looks like (observe the donkey-kong wallpaper); here's pacman and here's galaxian. Just for the fun of it, here's what the help screen looks like (and yes, those are truetype fonts ;-)). 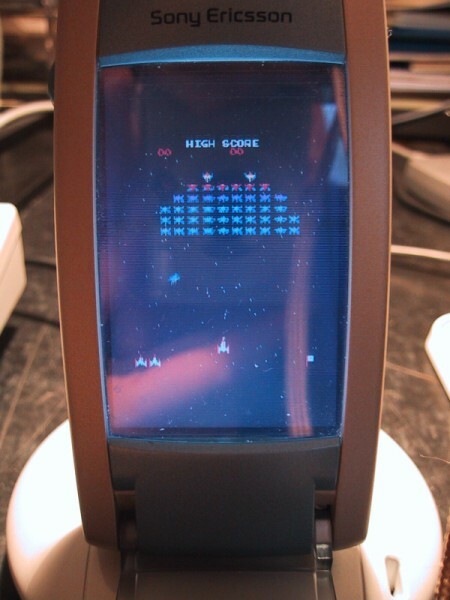 People have asked how to actually play MAME games on a device like the P800/P900. Well, it's all explained in EMame's online help, but for those of you who don't have a P800/P900 (yet), here goes:. Navigation: Use the stylus as an on screen joystick. 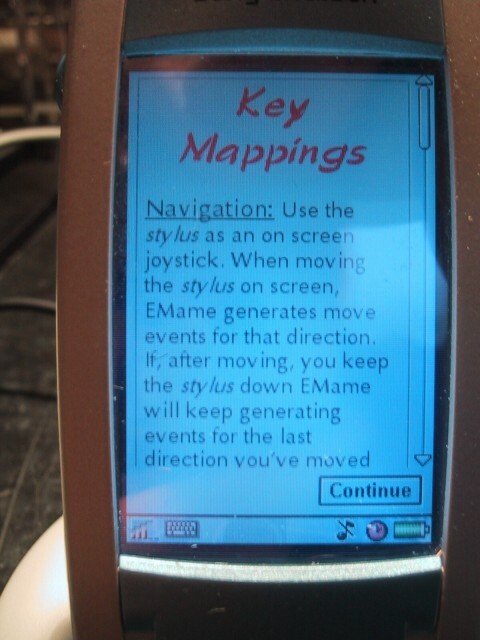 When moving the stylus on screen, EMame generates move events for that direction. If, after moving, you keep the stylus down EMame will keep generating events for the last direction you've moved to. Button 1: Jogdial up and down both map to Button 1. Typically button 1 is used for shooting; if so,then you achieve the best result by repeatedly scrolling up and down with the jog dial. Button 2: Jogdial left, right and inwards all map to Button 2. Insert Coins: Just like a normal arcade machine, you have to insert coins before playing a game. When the game displays its splash screen, use the Camera Button to insert coins. Start Button: After inserting a couple of coins, press the Browser Button to start the game. Quit: During the game press the power button to quit the game. Pause: During the game close the flip to pause the game. You can resume it by opening the flip and clicking on the EMame entry from the applications list. EMame then shows you a dialog from which you can stop or resume the game. OK: When prompted to press OK during the startup of a game, you may press any key for O and any key for K.